REDUCED! 443.3 Acres of Farm and Timber Land For Sale In Pamlico County NC! Huge agriculture fields, over a mile of road frontage, and hundreds of acres of timber. This exclusive property has it all! REDUCED! 170 Acres of Hunting and Farm Land For Sale in Washington and Tyrrell County NC! Wild America! 3 miles of shoreline on Lake Phelps with productive farmland and loaded with game. One of the most dynamic ecosystems on the entire East Coast. REDUCED! 365 Acres of Farm and Timber Land For Sale in Cumberland County NC! 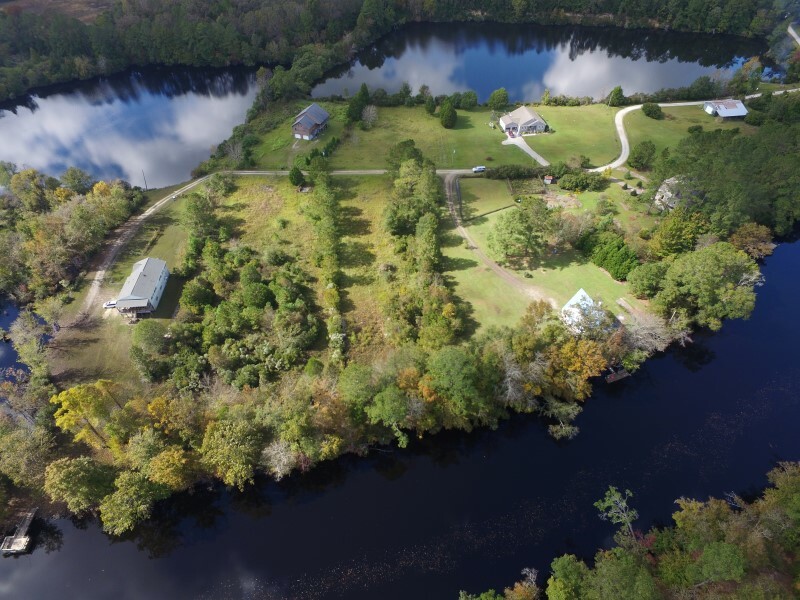 With 60+/- acres of cleared agricultural fields, excellent wildlife habitat, and over a mile of frontage on the South River, this income producing farm also offers recreational opportunities and potential home sites! REDUCED! 442 Acres of Waterfront Hunting and Timber Land For Sale in Pamlico County NC! REDUCED! 93 Acres of Developmental Hunting Land For Sale In Pitt County NC! REDUCED! 370 Acres of Timber and Farm Land For Sale in Hoke County NC! 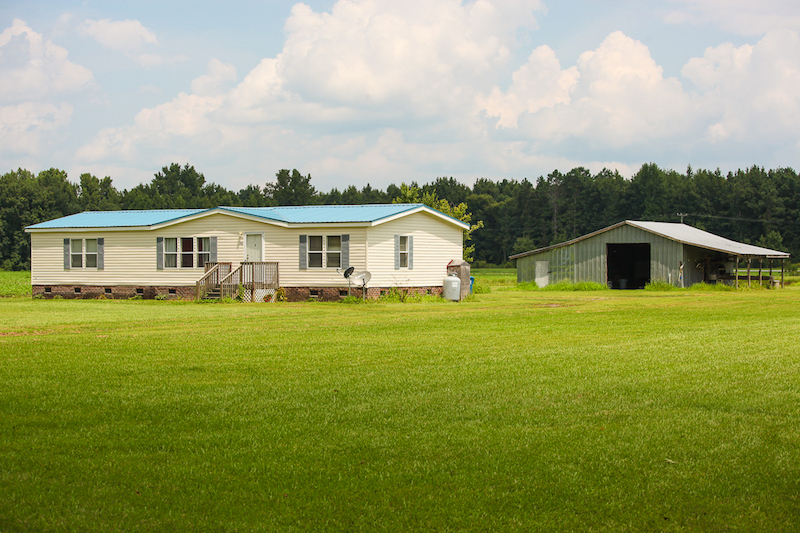 With longleaf and loblolly pine timber, agricultural fields, home sites, and frontage on the Lumber River, this farm is a great investment that also offers recreational opportunities! REDUCED! 230 Acres of Hunting Land For Sale in Brunswick County NC! With a gorgeous wooded building site overlooking a beautiful pond, this is a hunter's dream property! REDUCED! 32 Acres of Residential and Hunting Land For Sale in Onslow County NC! With two nice homes, extensive fencing, barns and stables, this property offers many opportunities for animal lovers and hunters! REDUCED! 174 Acres of Hunting Land For Sale in Sumter County SC! This tract is loaded with wild game! REDUCED! 144.73 Acres of Farm and Timber Land with Two Homes in Edgecombe County NC! Check out this income-producing property! Featuring two homes, two small ponds, ample creek frontage, and 75 acres of agricultural land. This is a fantastic investment, recreational, and residential property! Easily accessible and private. REDUCED! 91 Acres of Waterfront Hunting Land with Lodge For Sale in Hyde County NC! Cedar Creek Lodge is For Sale. This restored farmhouse sits on over 90 acres of waterfront property, sleeps twelve comfortably and comes fully furnished! REDUCED! 283.83 Acres of Hunting and Timber Land For Sale In Pamlico County NC! Secluded yet accessible timberland tract located minutes from New Bern and Grantsboro! 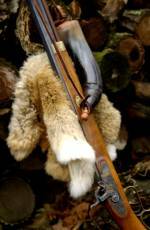 This property offers fantastic timber investment potential as well as world class hunting! REDUCED! 10.12 Acres of Waterfront Farm Land For Sale in Craven County NC! REDUCED! 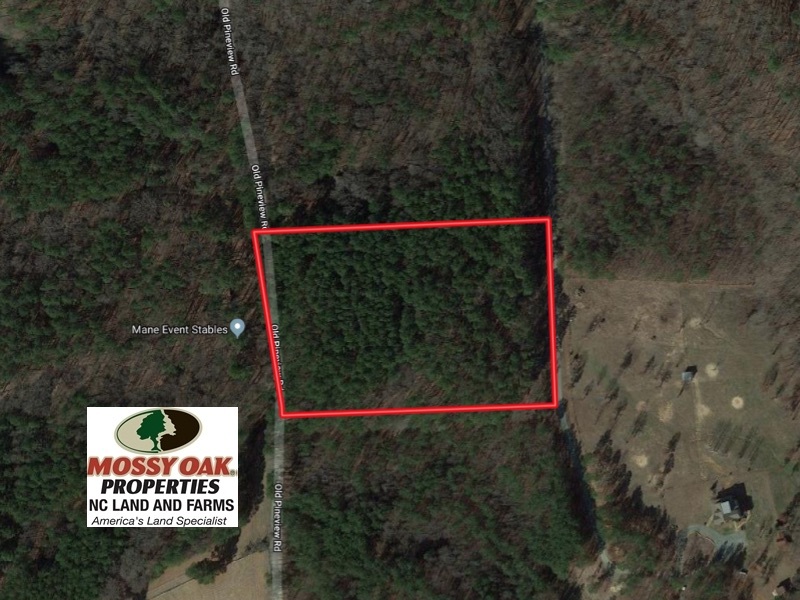 44.56 Acres of Residential Timber Land For Sale in Moore County NC! With plenty of acreage for a house and perfect area set-up for horses, including existing trails, this equestrian community would make a beautiful home in the country! REDUCED! 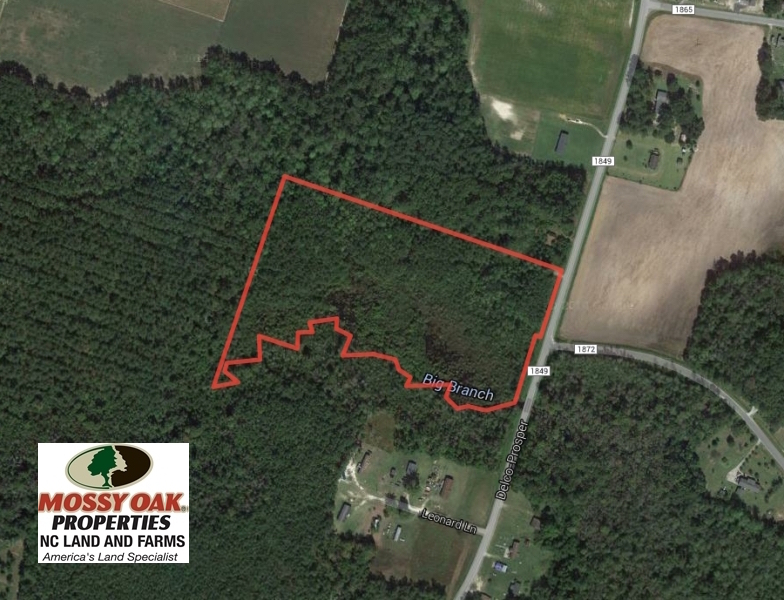 219 Acres of Timber Land For Sale In Halifax County NC! REDUCED! 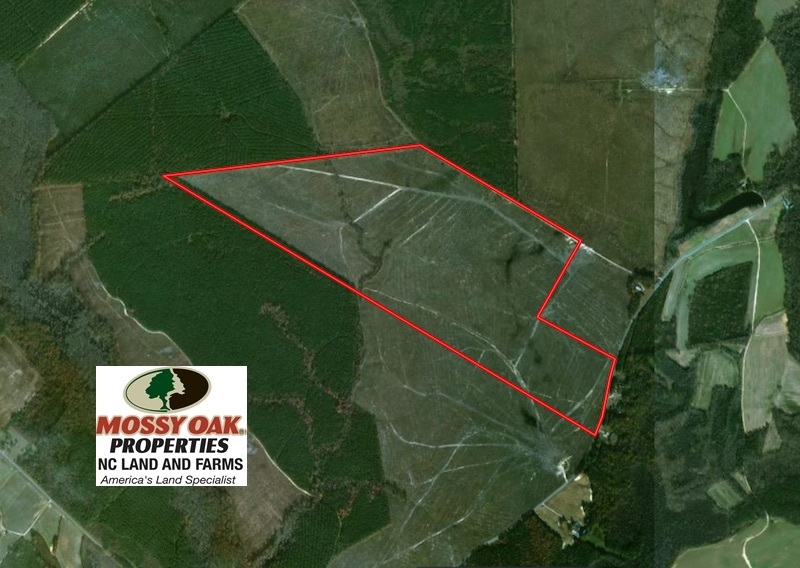 58 Acres of Farm and Timber Land for Sale in Nash County NC! REDUCED! 29 Acres of Residential Hunting Land For Sale in Beaufort County NC! REDUCED! 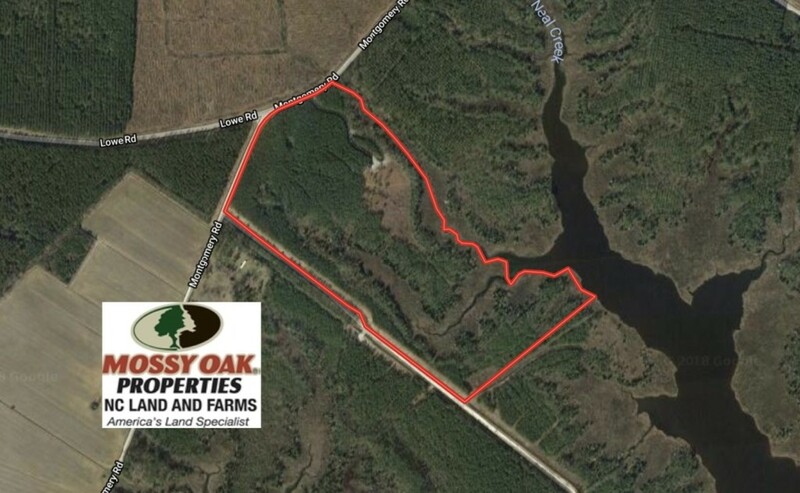 31 Acres of Hunting and Timber Land For Sale in Brunswick County NC! With a great location close to the Brunswick County beaches and golf courses, this tract offers many options for an investor! REDUCED! 0.90 Acres of Waterfront Land For Sale in Warren County NC! Perfect Waterfront Home-site on Spectacular Lake Gaston! 0.90 Acres with 275 feet of waterfront access! Build-ready ground just waiting for you to place your dream home here! REDUCED! 0.75 Acres of Waterfront Land For Sale in Warren County NC! Little Piece of Paradise! .75 Acres on Beautiful Lake Gaston! over 160 feet of private gravel road frontage and over 300 feet of water front access including a small private cove! REDUCED! 13.5 Acre Home and Farm For Sale in Washington County NC! REDUCED! 127.86 Acres of Farm and Timber Land For Sale in Columbus County NC! With a home site, farmland, and a great area for hunting, this property offers a number of possibilities! REDUCED! 62.2 Acres of Hunting Land For Sale in Williamsburg County SC! A Hunting Paradise with an Abundance of Whitetail Deer! REDUCED! 13.98 Acres of Waterfront Land for Sale in Craven County NC! This well priced waterfront property on Mitchell Creek is a great opportunity to bring your builder to! 30 minutes or less driving time to Cherry Point, New Bern, Beaufort and Morehead. Less than 2 miles from Matthew's Point! REDUCED! 1 Acre Residential Lot With Fully Furnished Veterinarian Clinic in Warren County NC! REDUCED! 180 Acres of Hunting Land For Sale in Hyde County NC! 180 WOODED ACRES IN HYDE COUNTY WITH SOME OF THE BEST BLACK BEAR HABITAT IN ALL OF NORTH CAROLINA ! SELLER FINANCING AVAILABLE! Excellent recreational and commercial investment property located in the heart of BIG BUCK country! REDUCED! 56.3 Acres of Farm and Timber Land For Sale in Wilson County NC! REDUCED! 8 Acres of Residential Equine and Farm Land For Sale in Richmond County NC! This property adjoins to over 22,000 acres of Sandhills Game Lands! Great home with 2 car garage on 8 acres of completely fenced in pasture land. Stables, barns and ample storage outside! REDUCED! 6.73 Acres of Residential Land For Sale in Orange County NC! REDUCED! 171 +/- Acre Bear Sanctuary For Sale in Tyrrell County NC! REDUCED! 70.2 Acres of Hunting and Investment For Sale In Williamsburg County SC! Offers complete privacy to enjoy hunting deer and turkey! REDUCED! 17.1 Acres of Farm and Timber Land For Sale In Pitt County NC! 17. 1 acre Farm with Homesite and Development Potential! REDUCED! 12 Acres of Residential Land For Sale in Chatham County NC! 12 Acres of secluded residential property in Chatham County, NC. Sweeping elevated views! A short commute to Raleigh, RDU International Airport, and Research Triangle Park! Plenty of room to clear for pasture and lots of recreational opportunities! Additional Acreage available! REDUCED! 10 Acres of Riverfront Development Land in Orange County NC! Great timber tract on the Eno River! Perfect for the outdoorsman looking for a dream future home spot. Utilities, septic and well are already on site! Less than 13 minutes to Mebane and Hillsborough. REDUCED! 55.21 Acres of Hunting Land with Homesite in Lee County SC! Great Hunting! Endless Possibilities! Perfect Property to Build your Dream Home or Cabin Retreat! REDUCED! 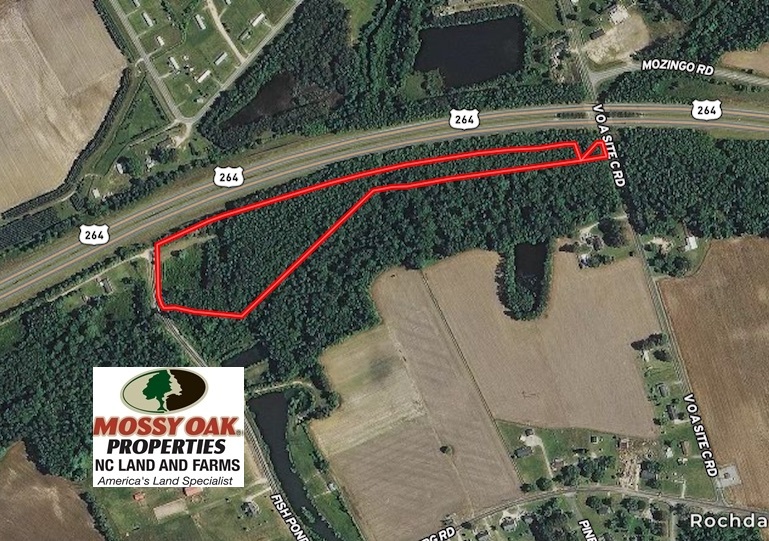 10.63 Acres of Commercial Land For Sale In Lenoir County NC! Over 10 acres of prime commercial land located at the corner of Airport Road and C.F. Harvey Parkway. Incredible location and large acreage! REDUCED! 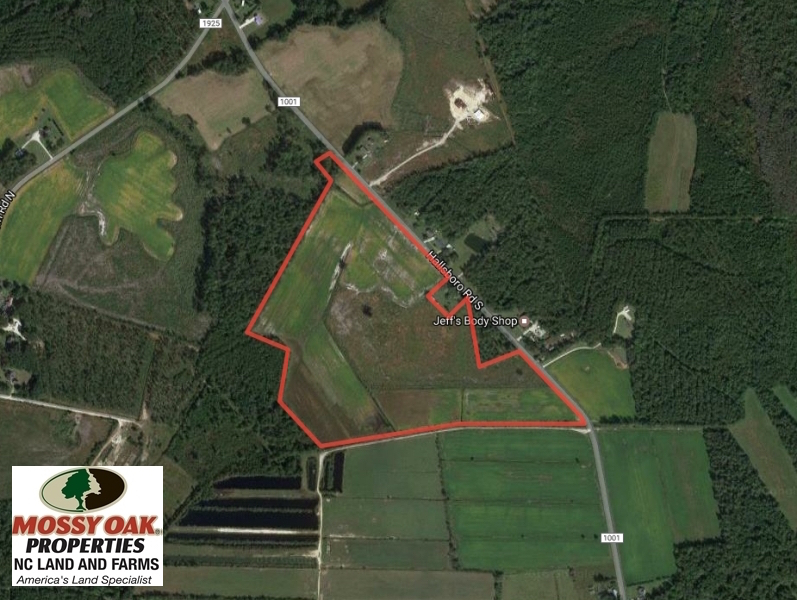 58 Acres of Farm and Timber Land For Sale in Columbus County NC! With great soils for agriculture or pasture and plenty of deer and turkey, this is a great farm in the country, but close to the beach! REDUCED! 18.7 Acres of Farm and Timber Land For Sale In Pitt County NC! 18.7 acre Farm with Homesite and Development Potential! REDUCED! 54 Acres of Hunting and Timber Land For Sale in Person County NC! REDUCED! 29.42 Acres of Land For Sale in Orange County NC! This is an excellent opportunity to own a well-priced property 10 minutes north of down town Mebane, and 15-35 minutes to Hillsborough, Chapel Hill and Durham. REDUCED! 7 Acres of Residential and Farm Land For Sale in Tyrrell County NC! REDUCED! 50 Acres of Waterfront Hunting Land for Sale in Hyde County NC! REDUCED! 19.56 Acres of Residential Land For Sale in Randolph County NC! 19.56 acres just outside of Asheboro, NC in Randolph County with rolling hills, a septic permit in place, a secluded and private home site, and no city taxes! REDUCED! 6.45 Acres of Investment Residential Land For Sale in Orange County NC! This 6+ acre offering is 12 minutes from the heart of Chapel Hill! 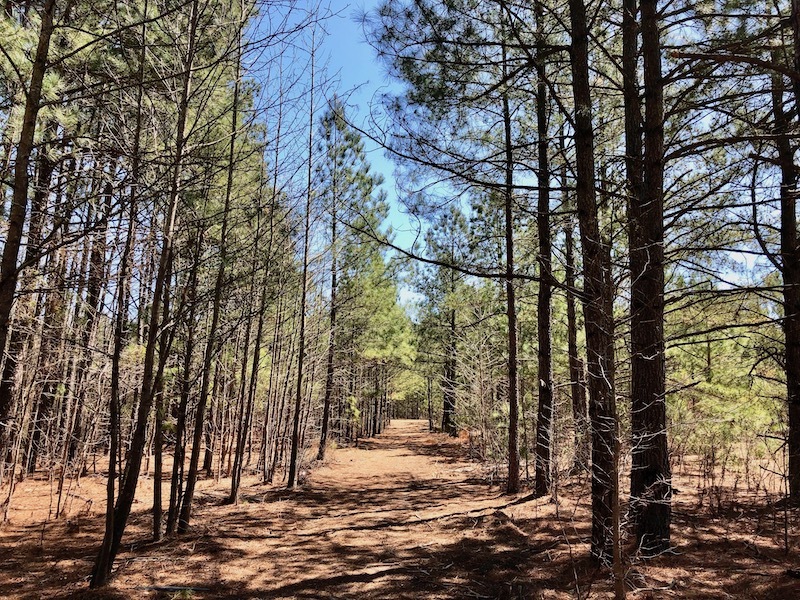 The property is planted in roughly 20-year pines. Perfect for a new build or the savvy investor! REDUCED! 60 acres of Hunting Land for Sale in Pamlico County NC! This property has it all, fantastic hunting for deer, bear and turkey, good road frontage, and adjoins 1000's of acres of AG and Timberlands! REDUCED! 4.1 Acres of Waterfront Residential Land For Sale in Northampton County NC! With this scenic 4. 1 acre waterfront property getaway, enjoy fishing, duck hunting, building your dream cabin, or all three! It's not every day you get a waterfront lot this size at a price this good! REDUCED! 5.12 Acres of River Front Land For Sale in Jones County NC! One of a kind secluded waterfront Homesite! REDUCED! 0.62 Acre Waterfront Lot with Boat Slip for Sale in Beaufort County NC! REDUCED! 11.17 Acres of Farm and Residential Land For Sale in Columbus County NC! Open pasture, well, electricity and barn close to Whiteville, N.C. Perfect location for home site and hobby farm. REDUCED! 43.5 Acres of Farm and Timber Land For Sale in Edgecombe County NC! REDUCED! 24.49 Acres of Hunting Land in Williamsburg County SC! A Hunter's Paradise Loaded with Deer and Small Game! REDUCED! 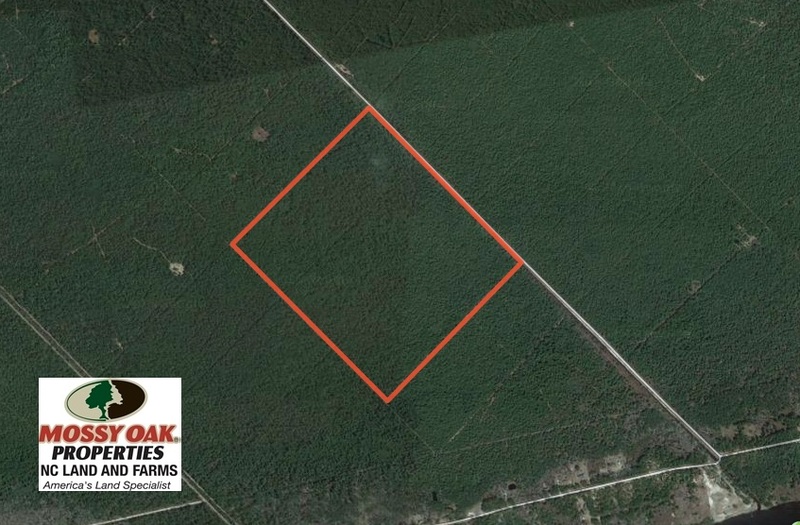 34 Acres of Timber and Hunting Land for Sale in Columbus County NC! With growing timber and excellent hunting, this is a great recreational tract with future income potential! REDUCED! 41 Acres of Hunting Land for Sale in Tyrrell County NC! REDUCED! 0.49 Acres of Waterfront Residential Land For Sale in Northampton County NC! With this scenic 0.49 acre waterfront property getaway, you can enjoy the great outdoors from this great home site location. If you enjoy fishing, duck hunting, or are looking to build your dream home then this could be yours! REDUCED! 0.48 Acres of Waterfront Residential Land For Sale in Northampton County NC! 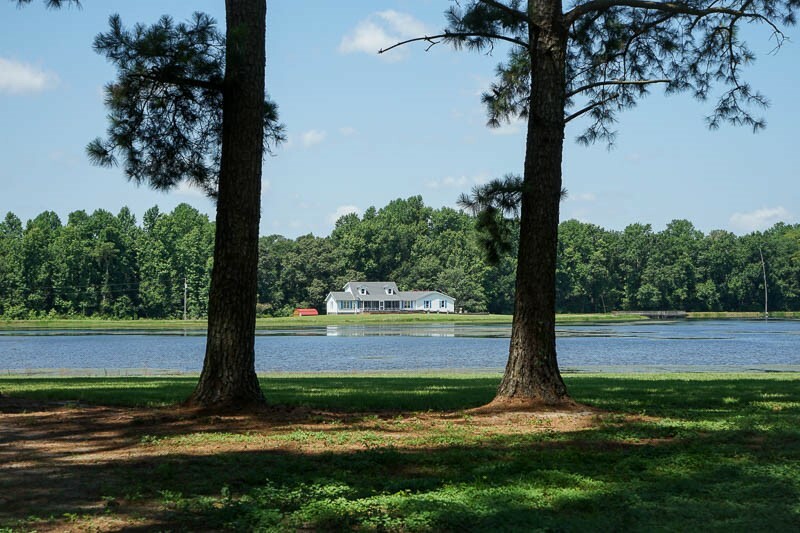 With this scenic 0.48- acre waterfront property getaway, enjoy fishing, duck hunting, building your dream cabin, or all three! This could be your next dream home or weekend getaway! REDUCED! 41 Acres of Residential and River Front Hunting Land For Sale in Carteret County NC! With frontage on North River, great marsh views, and a heavily wooded potential building site, this property is a great bargain! REDUCED! 13 Acres of Rural Residential Land For Sale in Pitt County NC! REDUCED! 17.62 Acres of Timber and Hunting Land For Sale in Columbus County NC! 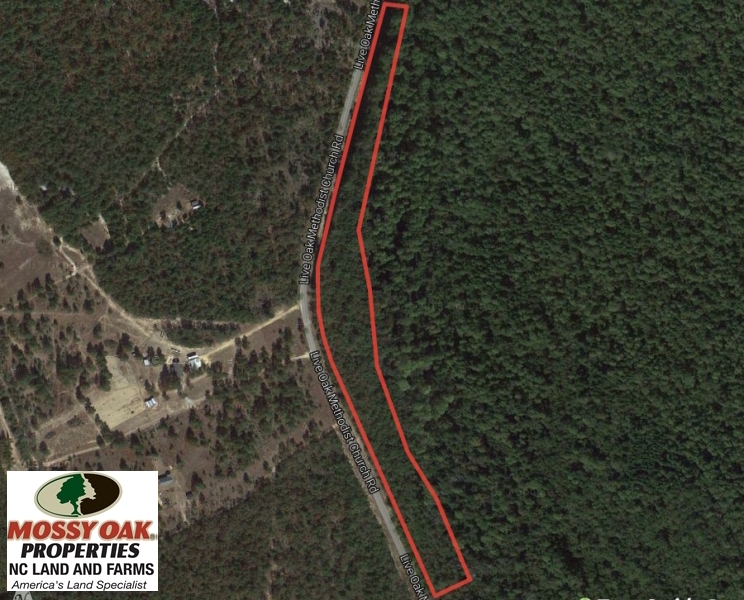 This conveniently located tract would make a great timber investment or hunting retreat! REDUCED! 1 Acre of Residential Land with Farm House For Sale in Franklin County NC! 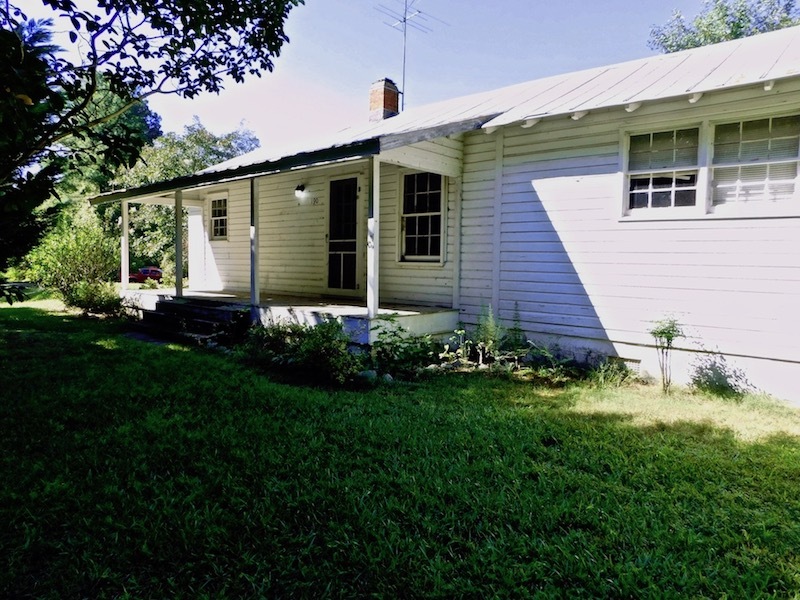 A Quaint 1940's Farm House is a Fantastic Opportunity for an Investor or Builder. REDUCED! 14 Acres of Hunting Land for Sale in Columbus County NC! With a convenient location and a quiet country setting, this is a great home site with room to hunt and play! Have you been looking for an affordable property that offers lake and boat access? Then take a look at this lot! It's ready to build on and has a septic permit suitable for a 4-bedroom home! REDUCED! 1.7 Acres of Residential Land For Sale In Yancey County NC! REDUCED! 0.39 Acre Lot For Sale in Hoke County NC! Located close to Fayetteville and Ft. Bragg, this heavily wooded lot is waiting for your builder! REDUCED! 6 Acres of Timber Land For Sale in Bladen County NC! With beautiful woodland and a quiet location, this is a great property for a country home! REDUCED! 0.48 Acre Residential Lot For Sale in Halifax County NC! Heavily wooded lot in the CITY LIMITS of Hobgood, NC. Avoid the hassle of septic systems and wells here where city sewer and water are available. All within 30-45 minutes of Greenville, Wilson, Rocky Mount and Nashville NC.